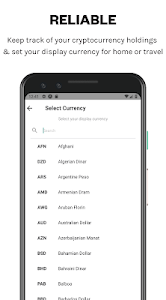 TenX makes it easy for you to store, send and spend your cryptocurrencies like Bitcoin, Ethereum, Litecoin. Harness the power of the blockchain as you go on your travels. It’s the one card you’ll want to have when you travel the world. Be in control of your cryptocurrencies and blockchain assets. 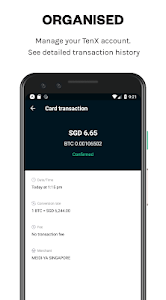 Make the most out of your TenX wallet by pairing it up with your TenX Card to make your bitcoin, Ethereum and Litecoin instantly spendable. 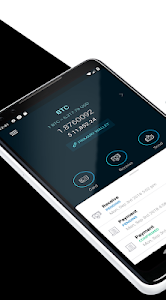 - Store, send, and receive cryptocurrencies - Bitcoin, Ethereum, Litecoin. 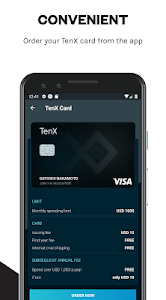 - Order your TenX Card in the app. 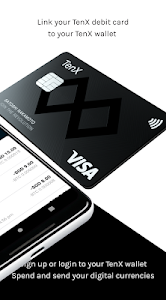 TenX Cards are available now! - More cryptocurrencies and digital currencies to come! 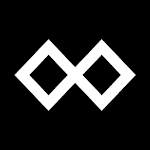 - Improved screen navigation animation speed and fluidity. - Applied numerous design improvements throughout the app. - Added the ability to upload documents from phone for account verification proof of address. - Added support to refresh user session during regular use. 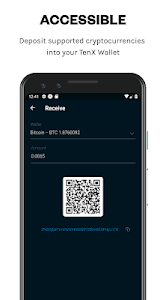 Similar to "TenX - Bitcoin & Crypto Wallet"